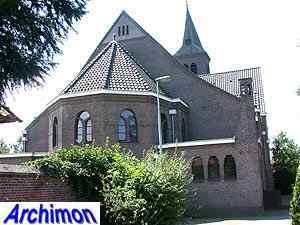 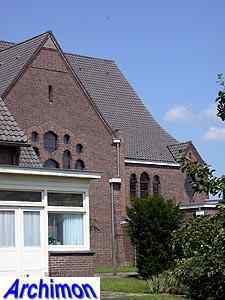 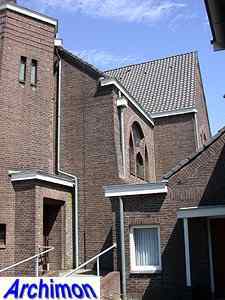 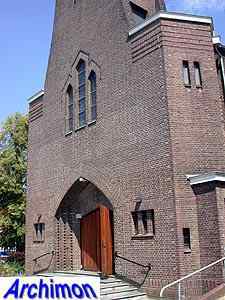 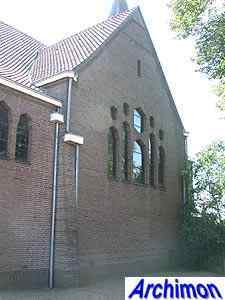 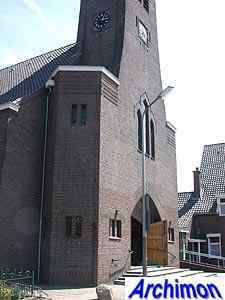 The church of Lattrop was built in 1925-1926 to replace a previous building dating from 1818. 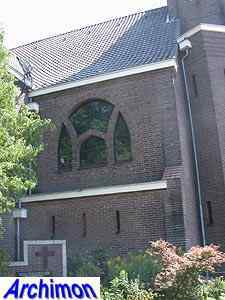 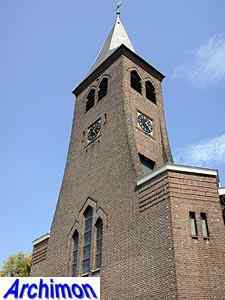 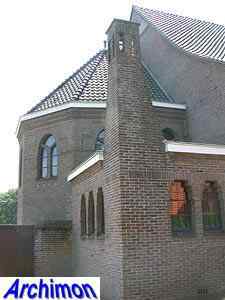 At least two designs were made for the new church, one by Wolter te Riele and one by Jos. 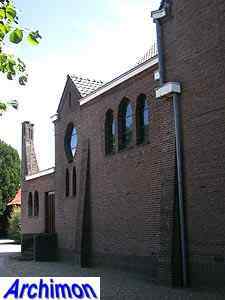 Cuypers.The latter architect was commissioned. 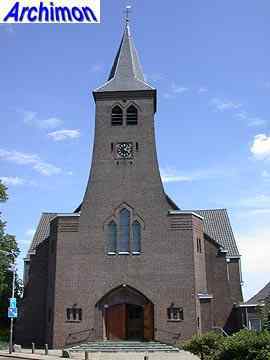 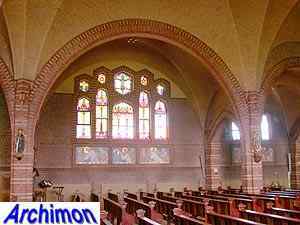 Although the church is usually attributed to Jos. 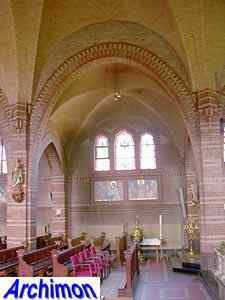 Cuypers alone, it seems likely that his son Pierre, who had been his partner in 1920, had an important say in the design. 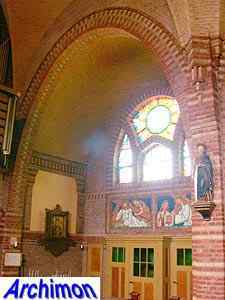 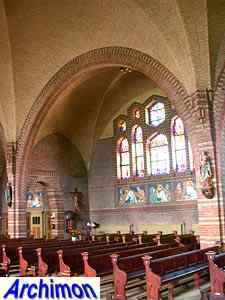 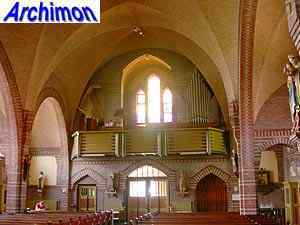 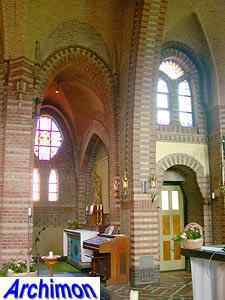 Like other churches the two designed together, the interior of this one is in an Expressionistic style that resembles that of French monk and architect Dom Paul Bellot, with whom Pierre had worked on a couple of occassions. 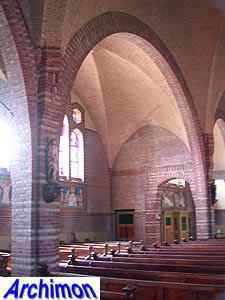 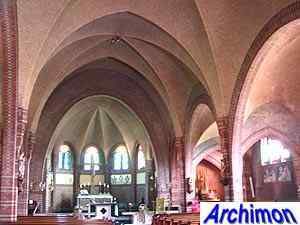 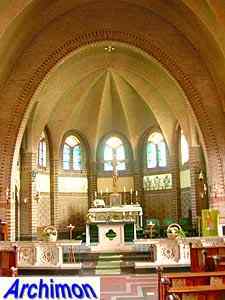 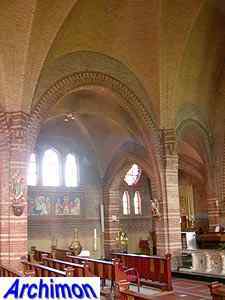 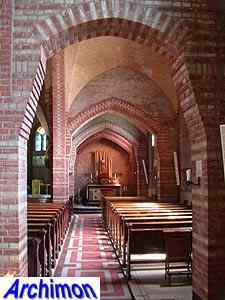 Shapes of windows and parabola arches, as well as the use of coloured bricks, all seem to be based on Bellot's example. 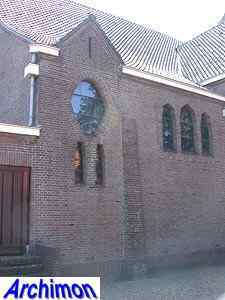 The exterior is less spectacular, but noteworthy anyway. 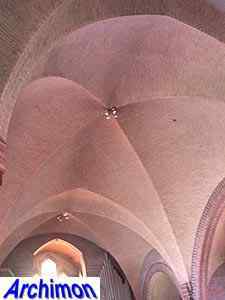 The straight shape of the tower, which is part of a westwork, is disguised by a facade which is curved on both sides. 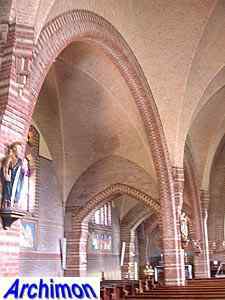 The nave is broken by a transept already after the first trave and ends in a small pseudo-transept. 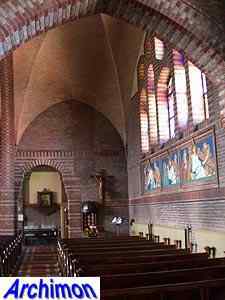 The choir is narrower than the nave and has a seven-sided apse. 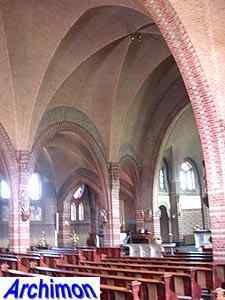 In the corners between nave and choir are additional spaces with a flat roof. 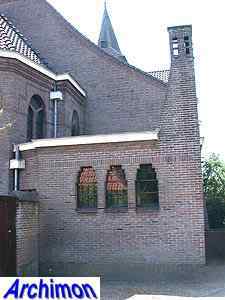 Both of these originally had a chimney, one of which has gone.